Our Twitter integration makes it possible to place a Twitter button in your chat window. Every time a visitor clicks on it, they will be able to access your profile and follow you straightaway. Twitter and 'tweeting' is about broadcasting short messages to the world. Your profile on Twitter is like your microblog. It lets you discover interesting people online and follow their profiles, What's more, you can participate in a discussion or publish your own opinion about something important to you. To start a journey with Twitter, go to the 'What's Happening' box, type your first message and click 'Tweet'. To receive Twitter feeds, find someone interesting (celebrities included), and subscribe to their tweet microblogs. When developing the Twitter integration we made sure that it'll be simple, not only in terms of usage but also in terms of design. Now you can not only gain new followers but also make your chat window and website a bit prettier. Because simple details matter. 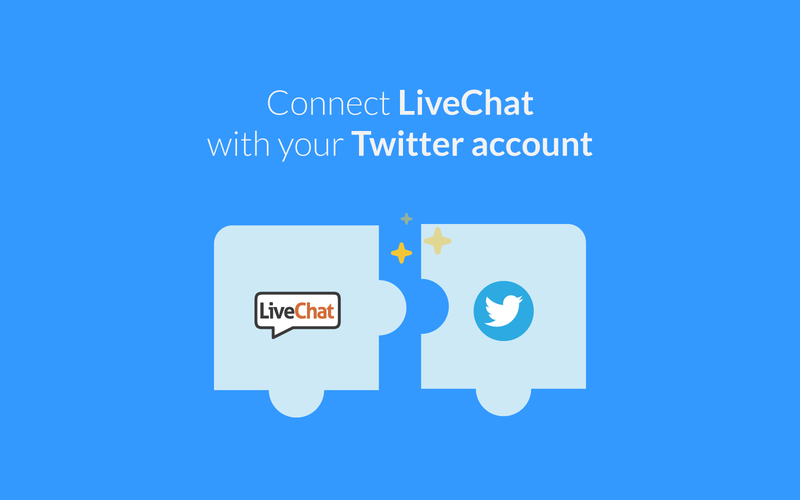 Some issues may be too complex to deal with in 140 characters — but with LiveChat you can give customers immediate access to help using the direct chat link. Allowing your customers to go directly to your Twitter page from the chat window, will help you grow your social media presence in no time. Competitive advantage can be obtained by managing your products more efficiently, and having good relationships with customers. With LiveChat, you can communicate with your customers in a channel they prefer while providing a superior customer experience.